I stayed up pretty late waiting for the announcement from this mysterious website. Eventually I fell asleep and the next morning I was greeted with a big surprise. However, what a shock it was! 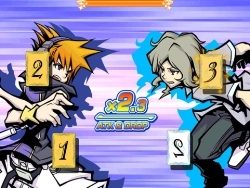 Like me, a number of fans were left disappointed by the announcement that Square Enix's The World Ends with You (TWEWY) was being ported across to iOS rather than gaining a sequel. However it may come as some relief to hear that the game's director has more to reveal in the future. "Solo Remix is a game with such a high level of completion that you won't feel that it's a port. If you play it and post tweets to Twitter, the world will expand even further. "We're working on a variety of other things, but first please enjoy Solo Remix." It's anyone's guess as to what the "variety of other things" will actually be, but I am hoping for a sequel to the original The World Ends with You game! What about you?